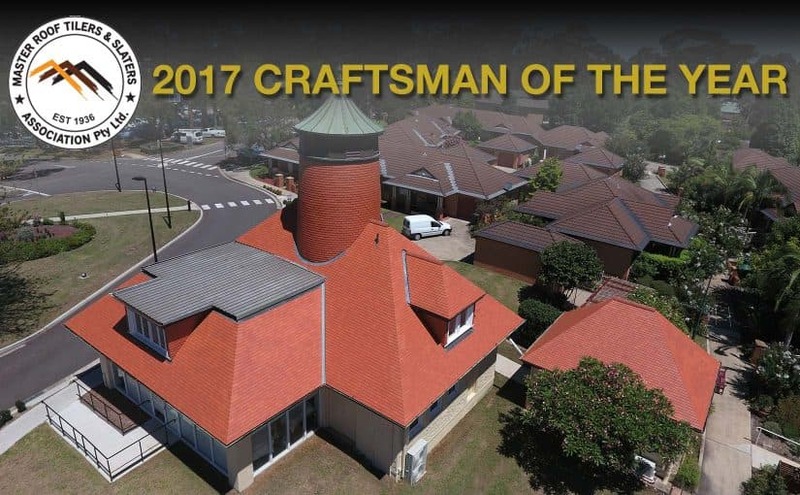 Slate Roofing Australia has taken out the title of Craftsman of the Year 2017 at the Master Roof Tilers and Slaters Annual Awards Night on September 16. Slate Roofing Australia achieved the recognition at this year’s Association Awards Night, for its work on the Tower House Castle Hill project. The Craftsman of the Year 2017 is the premier award at the annual ceremony. The three awards and two finalist nominations meant that Slate Roofing Australia was the most awarded Slate Roofing company at the 2017 Master Roof Tilers and Slaters Annual Awards Night. The Master Roof Tilers and Slaters Association Pty Ltd celebrates 81 years of incorporation in 2017, having been established in 1936. It is incorporated within The Roofing Industry Association of NSW Inc. As the roof tile industry spokesperson, the association has input to Governments, Education bodies, Roof Tile manufacturers and other Building industry associations.